SICI introduces their newest addition to their fit bike family. The Platform Fit Bike. A perfect combination of platform and fit bike. The wing like platforms are elegantly attached to the base of the Fit Bike. The bike is also built higher off the ground so the wings are at a normal platform height. It has a footprint no wider than the legs of the Fit Bike making it easy to fit in a small studio. It offers the benefits of a platform – better visual height and eliminates the expense of a separate platform. A cost effective size sensitive option when incorporating fitting into your business. 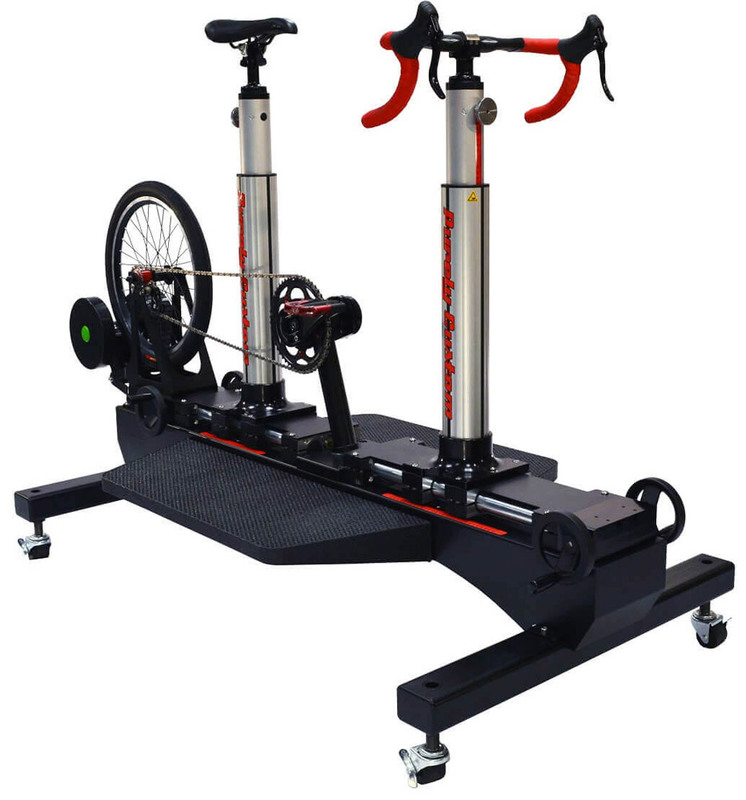 The Platform Fit Bike is equipped with a Kinetic Smart Control providing dynamic load generation and the ability to make adjustments while the rider is in motion. Properly fitting your customers to their bicycle and improving their efficiency is the personal service that sets a bike fitter apart. Make all the X/Y adjustments while the rider is in motion and quickly determine measurements with the easy to read integrated scales. The Next Generation SICI Size Cycle is custom ordered directly through SICI. Please fill out the form below and we will follow up with you to place the order and answer any questions you may have. 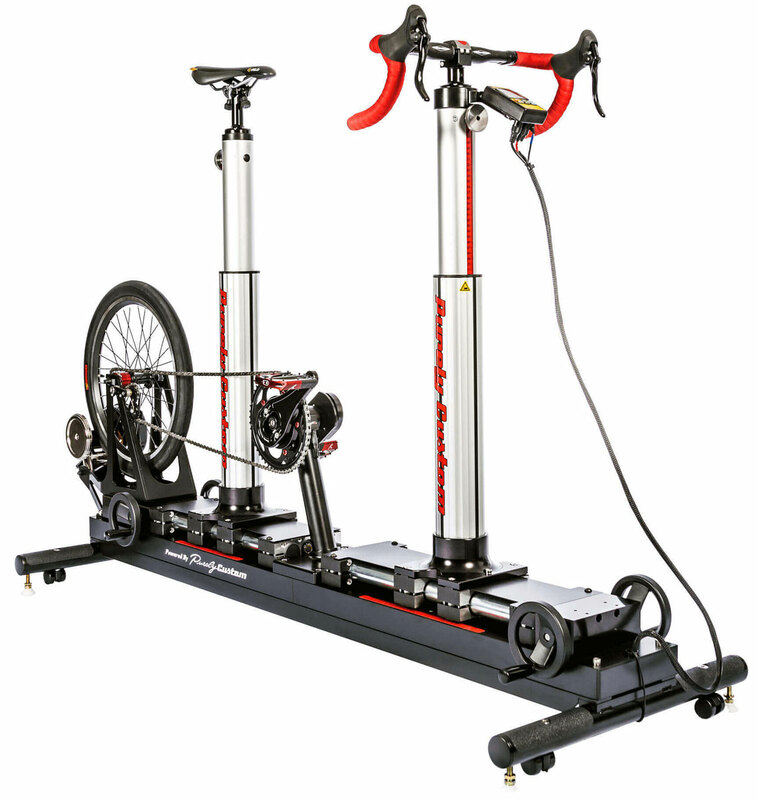 The Fit Bike is the perfect way to start incorporating bike fitting into your business. The Fit Bike is easy to use at an exceptional price point, redesigned and built on the same quality platform you’ll find on each of the Purely Custom Fit Bikes. This wheeled version is equipped with Kinetic Smart Control providing dynamic load generation and the ability to make adjust while the rider is in motion. Properly fitting your customers to their bicycle and improving their efficiency is the personal service that sets a bike fitter apart, builds customer loyalty, and is the key to happy, comfortable cyclists that keep returning. 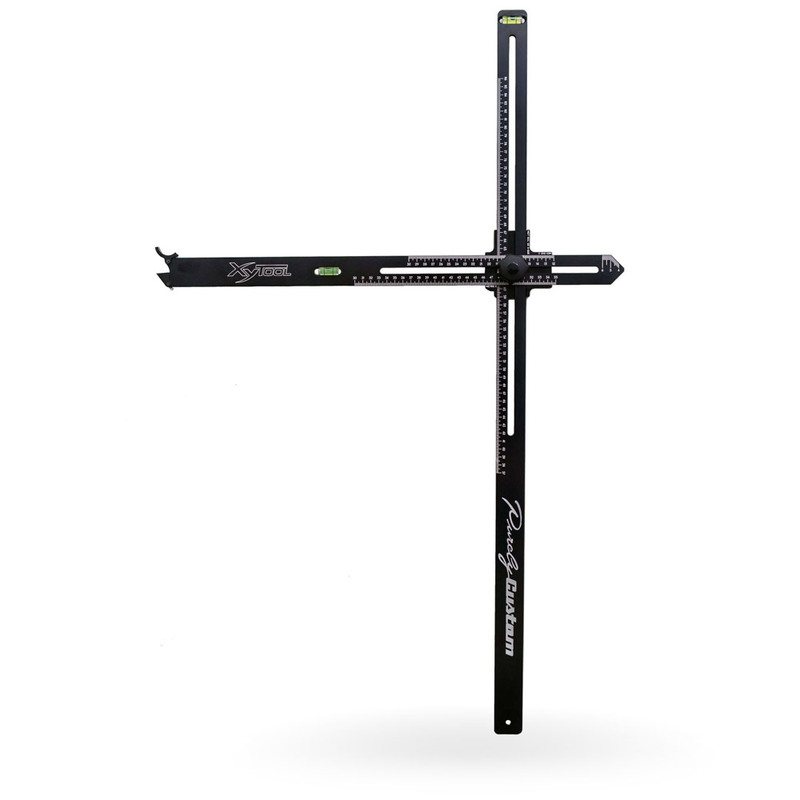 Make all the X and Y adjustments while the rider is in motion and quickly determine measurements with the easy to read integrated scales. The next generation X/Y tool is completely updated to provide enhanced functionality and some completely new features. Specific crank interface pin for Shimano, Campagnolo, SRAM, FSA, Truvativ and Bontrager. Compatible with most previous generations and iterations of widely available cranks. 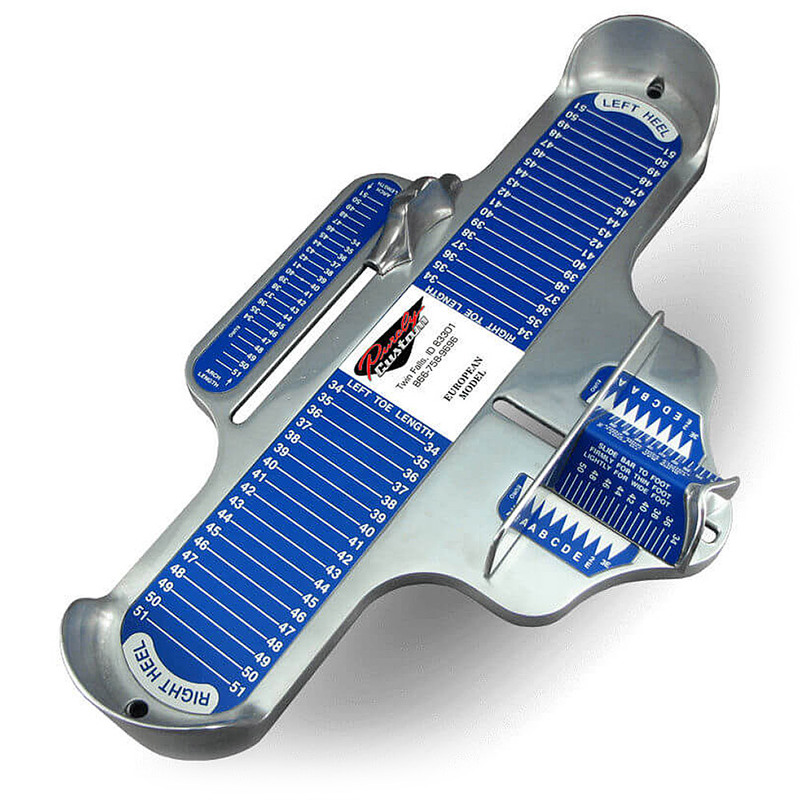 The Brannock device is a fit studio essential used to determine appropriate footwear for your clients. 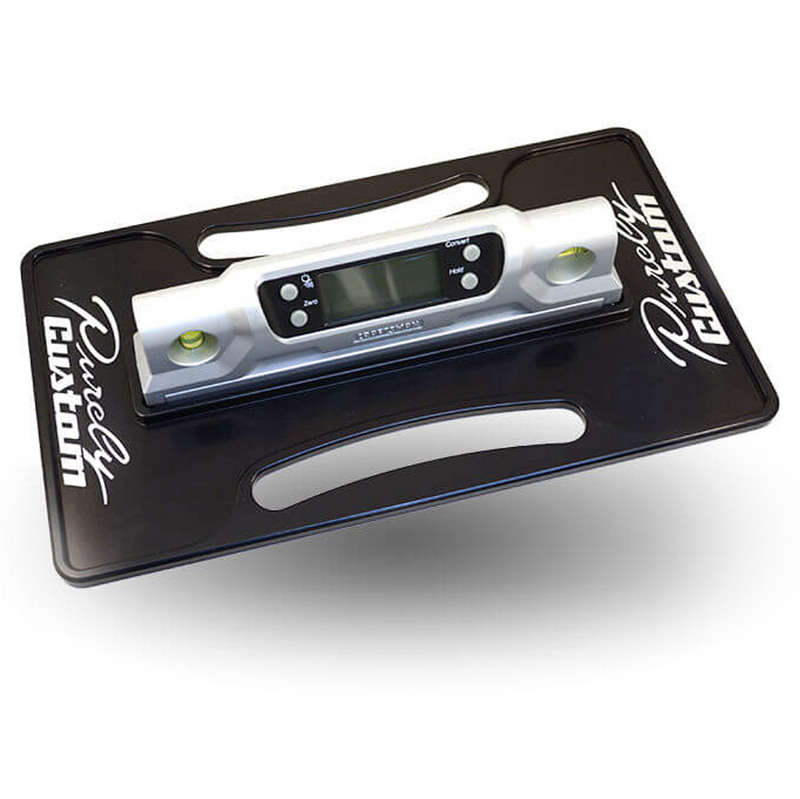 It accurately measures foot length, arch length, and foot width. 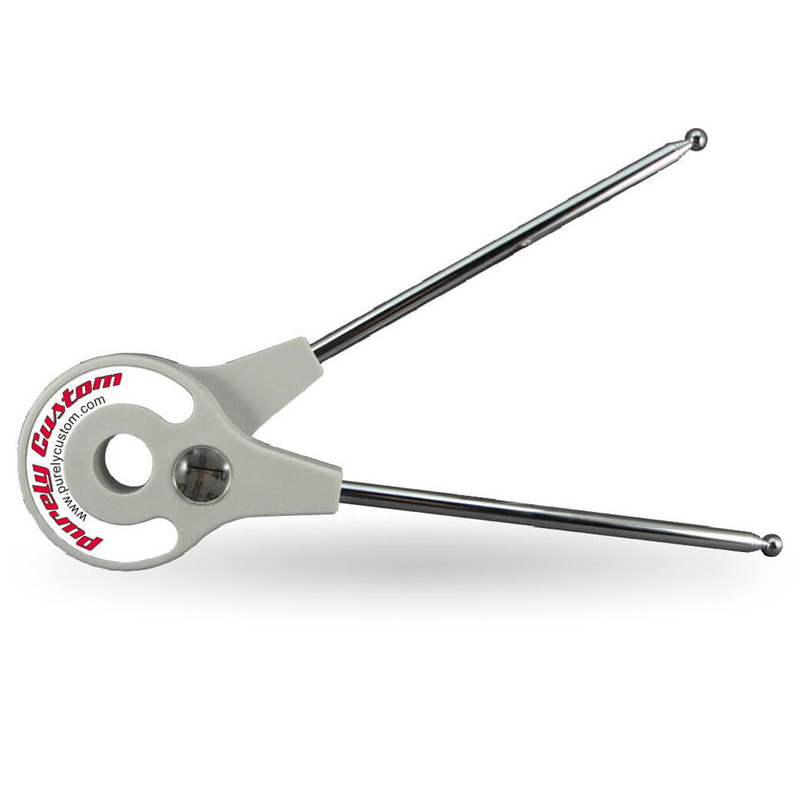 This goniometer is the tool of choice for professional bike fitters as well as medical professionals when performing physical assessments of flexibility, range of motion and measuring joint angles. The telescoping rods point accurately to body landmarks. Affectionately known as the “panini press,” this tool is weighty enough to stay put when checking saddle level. No more balancing a digital level atop your clipboard! The digital level pulls off to capture handlebar and seat tube angles. 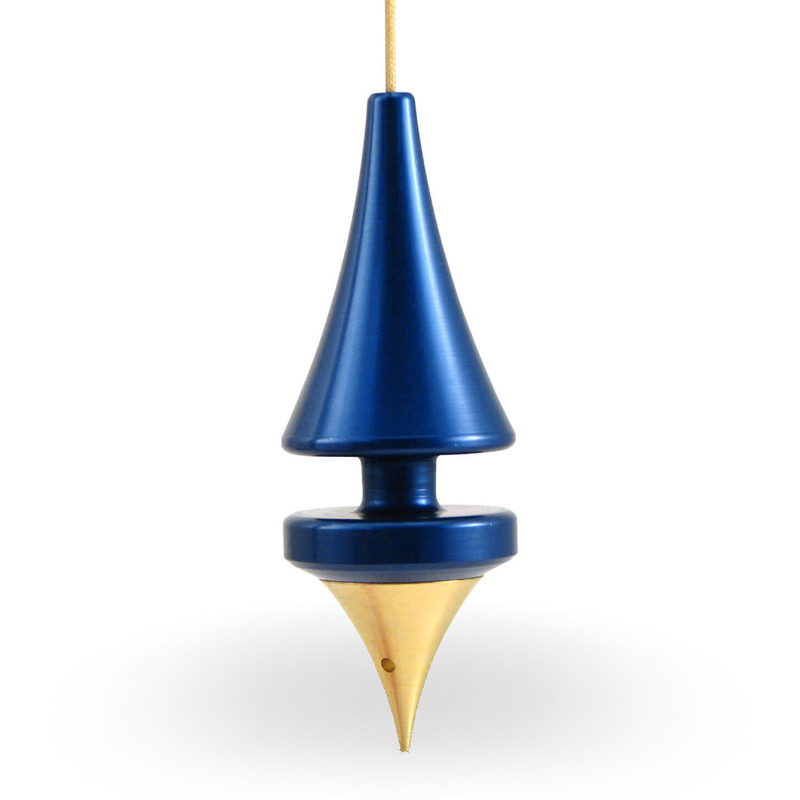 This elegant plumb bob quite possibly belongs in a museum of modern art. It is made of aluminum, then anodized. A brass pointer was added to give it substantial weight for accuracy and stillness. The cord winds neatly around the center for storage. 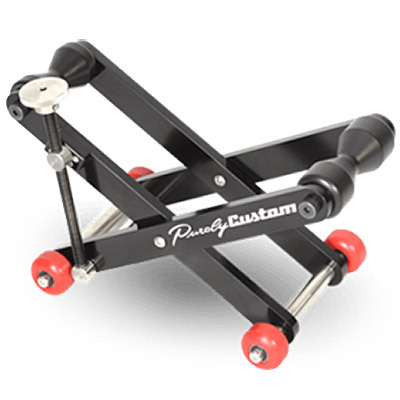 This is the perfect tool to dial in your client’s handlebar position. 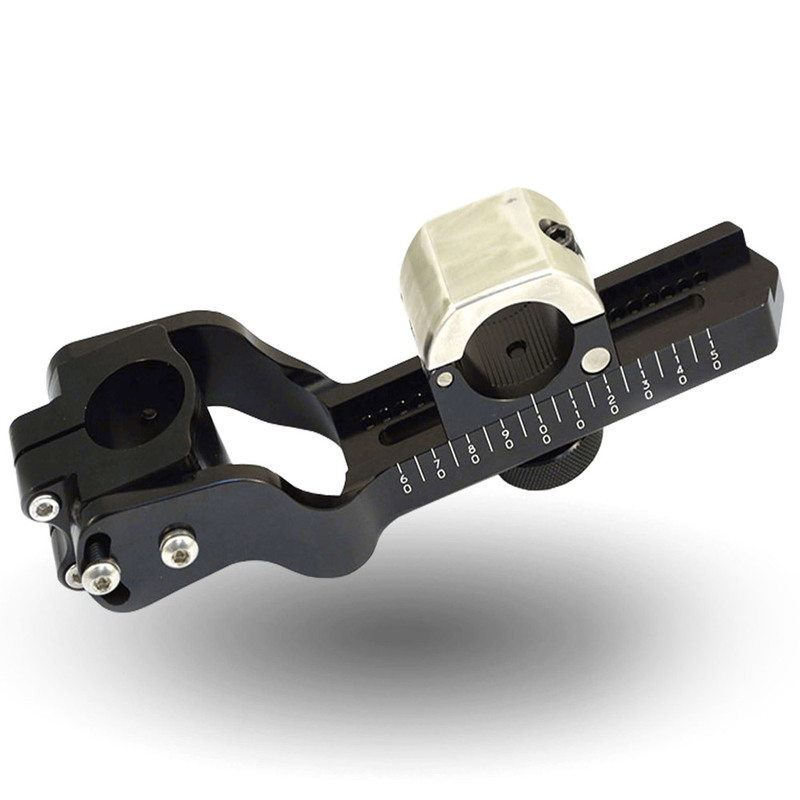 By changing out the client’s stem with our Bicycle Sizing Stem you are able to quickly adjust reach and angle to find the best stem length and angle for your customer. After finding the ultimate position for your client, just document the length and angle shown on the sizing stem. Now it is easy to get the exact stem your client needs. 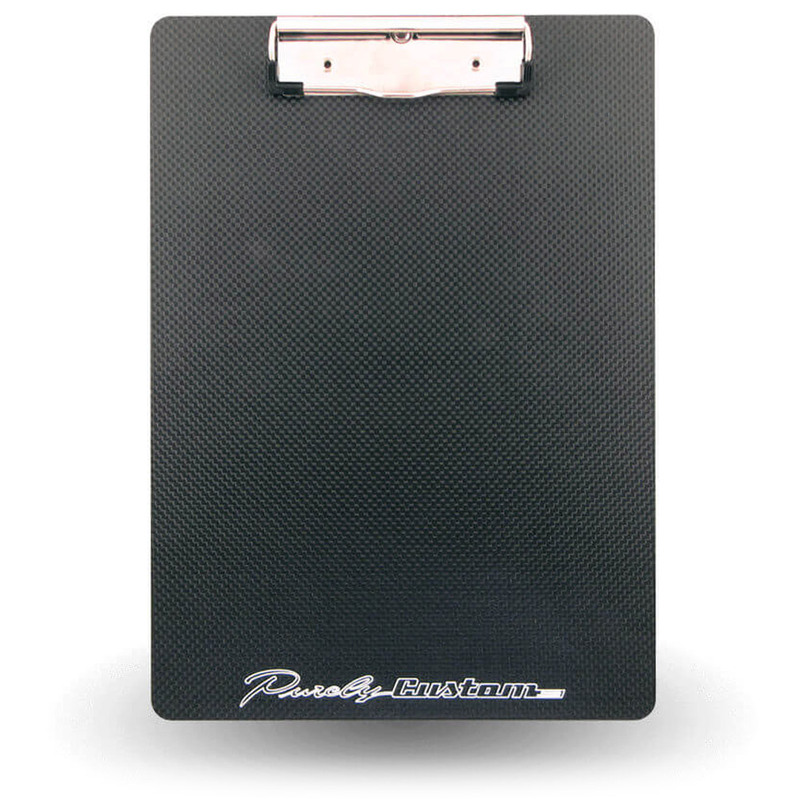 This carbon fiber clipboard is lightweight and attractive. It is engraved with the SICI and Purely Custom logos and is a must-have accessory in a professional fitting studio. Each person has a different arch and being able to get a quick measurement from each foot helps a fitter determine whether a cyclist will benefit from foot support. A foot that bounces around in a shoe can be uncomfortable and be another area that a rider is compromising efficiency. A properly supported foot and arch will enhance and increase power transfer as it is more stable. This tiny little tool provides some important information with easy to read laser engraved measurements. 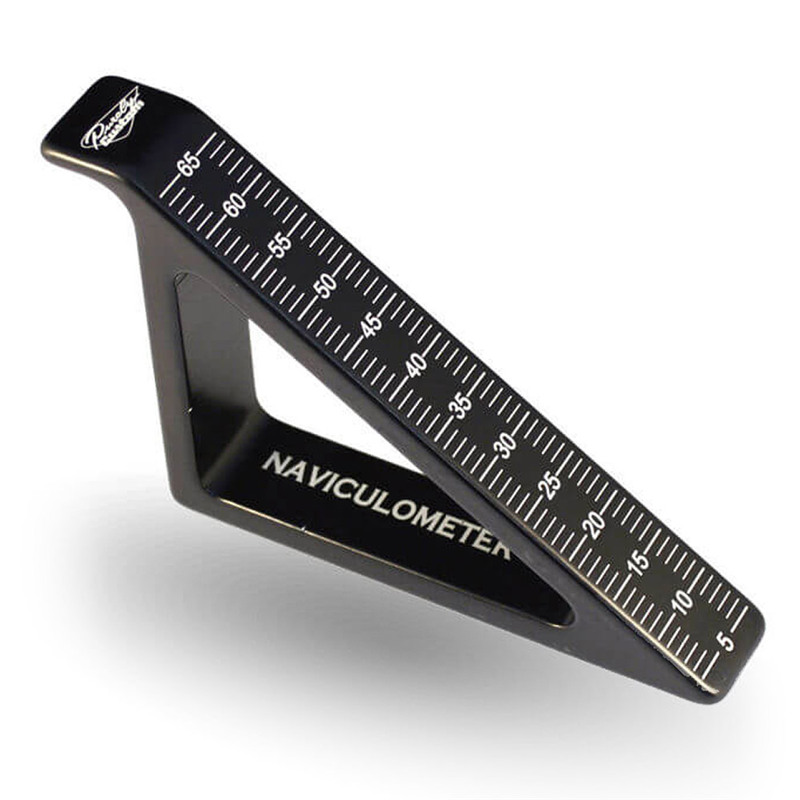 The Naviculometer is made from aerospace grade aluminum with a black anodized finish. The Single Laser Knee Tracker does just that, tracks the knee location through the pedal stroke. The Laser Knee Tracker is another valuable tool to be used in bike fitting to achieve accurate results. 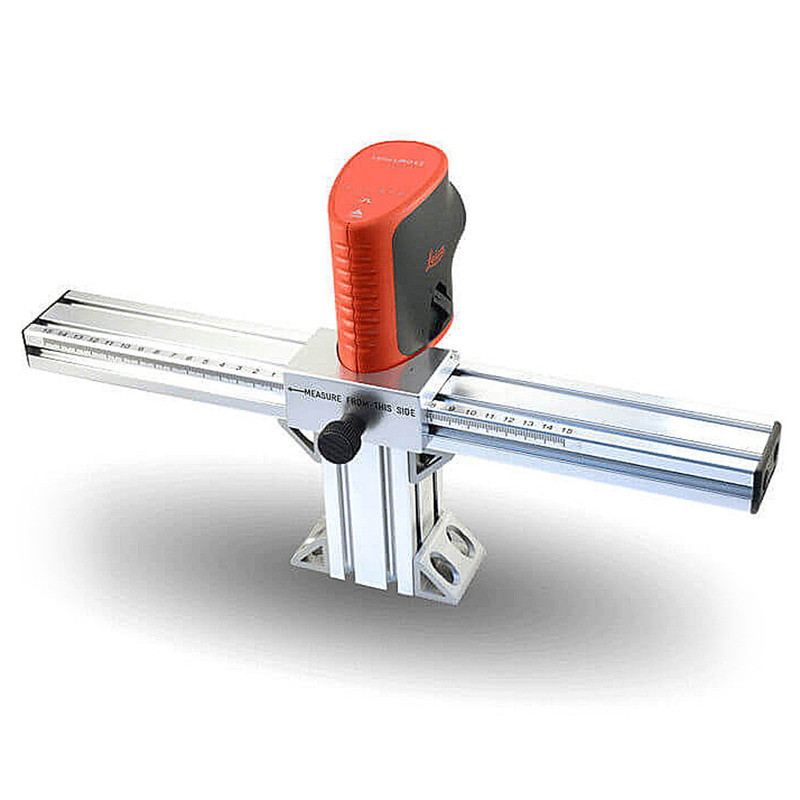 It bolts directly on to the front of the Size Cycle and is equipped with one Leica Lino L2 self-leveling laser. 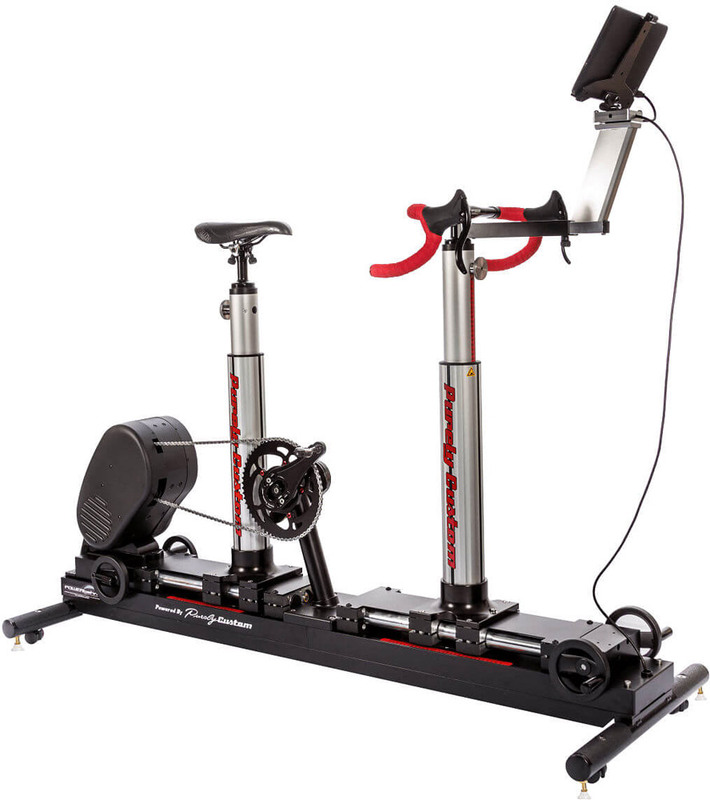 It also comes with a measuring scale that you can choose to affix to the unit to measure the distance from the center of the bike to the knee to see if both knees are equal distance from the center. take your Fit Studio to the next level with this high-tech fitting tool.